The name ‘Tasks’ for that view is somewhat misleading, as it has nothing to do with tasks of an operating system. 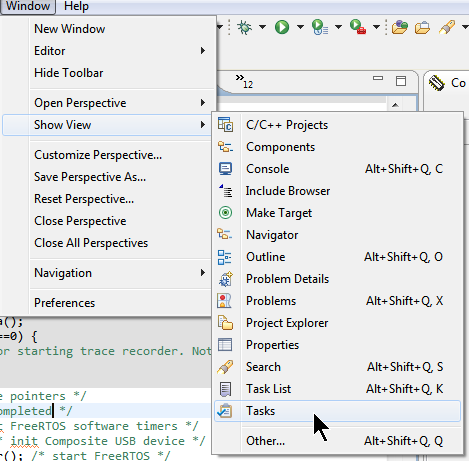 That view is very powerful as it collects to-do’s, bug locations or anything I want in a central place and view. The cool thing is that I can double-click on the entry and it will jump to the source/line. 💡 I’m using such ‘TODO’ for my labs and classes to have students be able to jump directly to the source line. 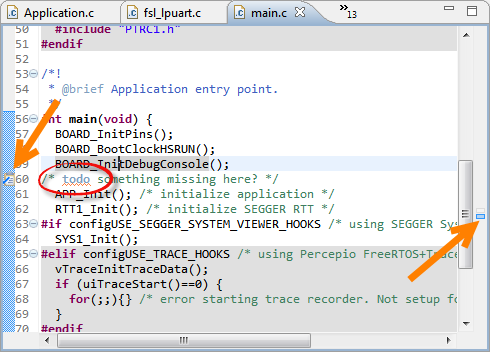 ‘Tasks’ markers are a good way to annotate source files with to-do’s or bug entries. 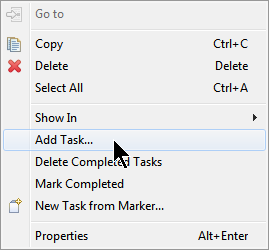 The Tasks view lists them and I can use them as shortcuts to the source place. 💡 There are other advanced usage of markers in combination with version control systems and team collaboration tools: that way assignments can be put out for the teams to work on. But that would be subject of a different article. 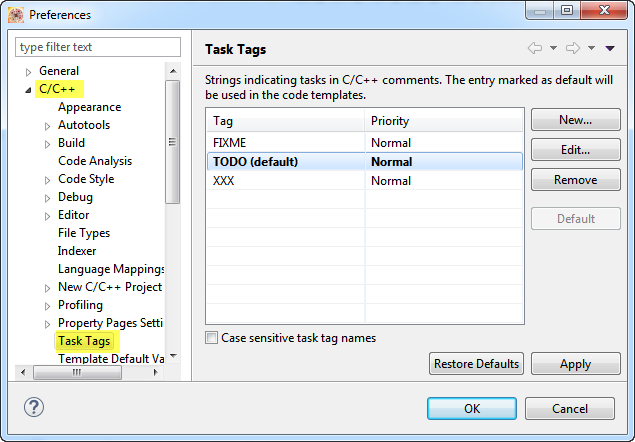 This entry was posted in Eclipse, Tips & Tricks and tagged Eclipse, software, Tasks View, technology, Tips&Tricks by Erich Styger. Bookmark the permalink.